Planning a wedding for this upcoming summer season and searching for unique wedding ideas? There are many creative spins out there on traditional wedding practices that will add a bit of spice and leave your guests raving about your big day. Check out these unique wedding reception ideas and ceremony ideas. 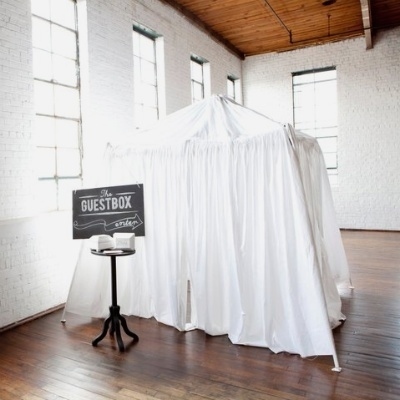 Photo booths are a fun addition to a wedding reception, however take it up a notch with a video booth. This allows guests to leave personable messages for the bride and groom that they can then watch after the big day. This also makes for a great addition to a wedding video if a videographer is filming the special occasion. There are many ways to add some creativity to handwritten guest messages. For example, consider an unconventional but fun idea such as using Jenga for greetings. 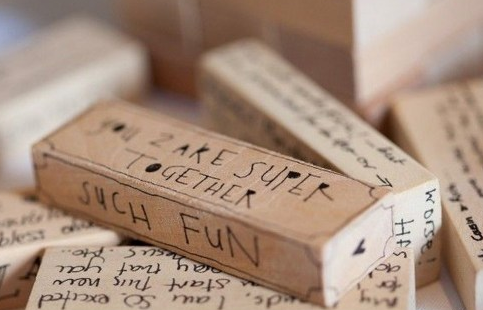 Guests can leave messages on the blocks to help the bride and groom “build” memories from the big day and onward. Do you have some little ones in attendance on the big day? Consider printing out a few coloring pages and creating some books for them to keep them entertained at the reception. The books can feature wedding themed outlines or other related images. Unique wedding reception ideas such as these will ensure that everyone, old and young, at the reception have a great time. Having an outdoor wedding? Traditional chair seating is usually the go-to, but there are many different, unique wedding reception seating ideas out there. 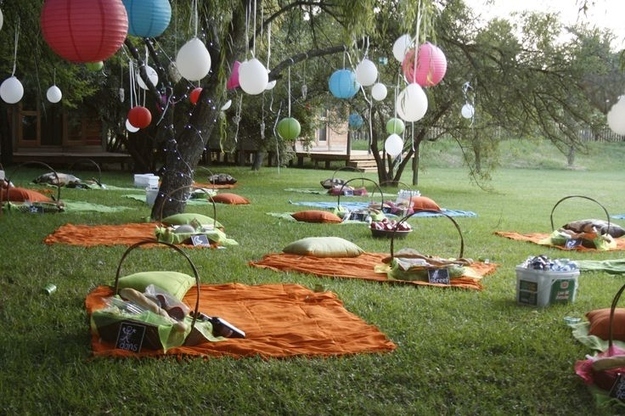 For example, consider setting up picnic blankets for guests and a basket with some snacks, drinks and other wedding favors. Consider combining a sparkler send off with a few unique wedding ideas such as to-go gifts for guests while sending the happy couple on their way. 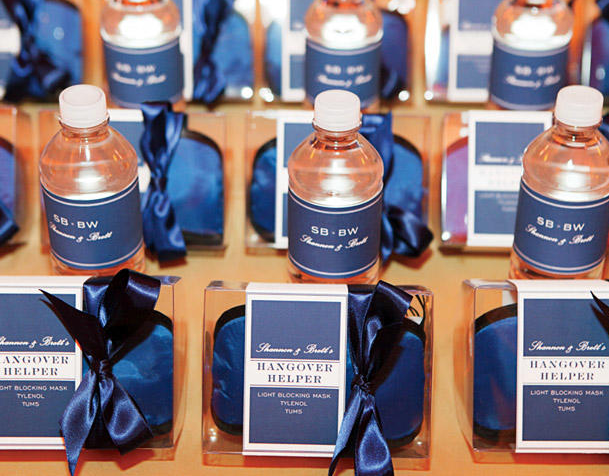 This might include thank you cards, hangover kits, or other creative nic nacs that guests will be thankful for. A classic string quartet is lovely, but throw in an element of surprise when it comes to live wedding entertainment. Think along the lines of an unexpected mariachi band, jazz trio, bluegrass group or other various musical compilations for a memorable experience. When the reception is beginning to wind down (or so your guests may presume), liven up the party with some late-night snacks that will cure your guests cravings after a long night of celebrating. 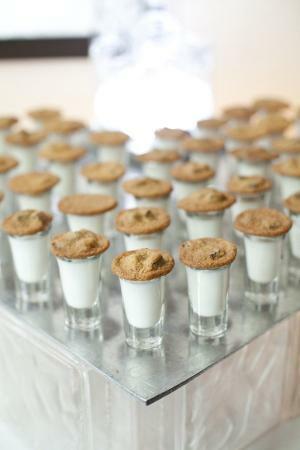 Consider truffle french fries, a waffle truck, or chocolate chip cookies with milk shooters. This will quench the cravings of guests who have been celebrating on the dance floor with the wedding party at the reception. Live tweeting, anyone? Instagram feeds? Create a hashtag for your wedding and spread the word for guests to post pictures, videos and more. This will make for great memories and allow guests that possibly could not attend the wedding to feel included as well. There are many unique wedding ideas out there for both the ceremony and the reception to put a creative spin on traditional practices that will leave your guests talking about your special day. From wedding photo booths, to gifts for guests to accompany a sparkler send off, these twists go a long way in making a wedding stand out.